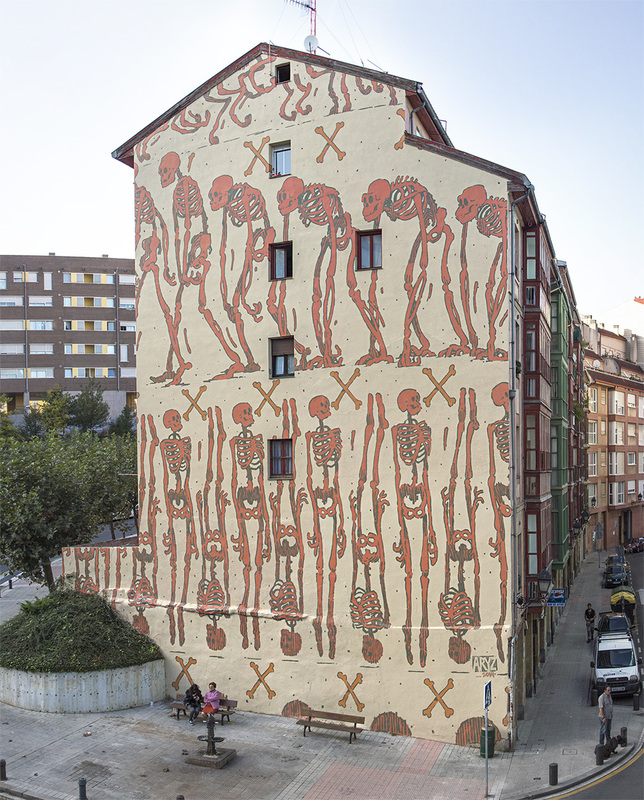 I've recently painted a wall in Bilbao, following a bit the style of what I've been doing lately ... I spent some of the remaining energy that I still had. Quite a few neighbors didn't like it that much and as a consequence I had some issues during the process. As I've said more than once I don't paint nice imagery to have public acceptance... of course I don't paint eather to have a bad time, but sometimes you have to deal with certain things when you are on the street.